Soweto is getting its own technology and gaming expo toward the end of October that will focus on ICT development in South Africa’s township communities. 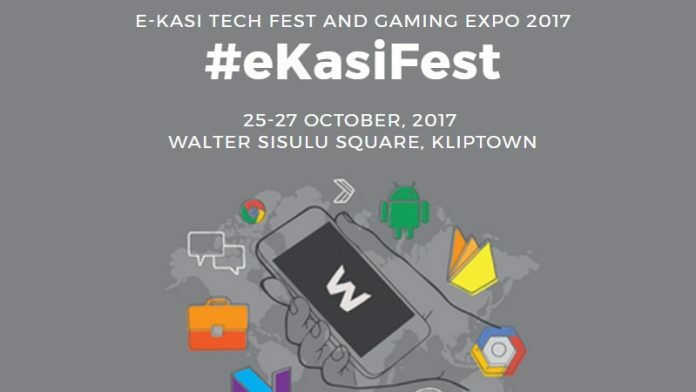 The e-Kasi Tech Festival and Gaming Expo will kick off on 25th October in Walter Sisulu Square in Kliptown, Soweto and run until 27th October. The festival is being hosted by the i-Village Foundation. “A big focus of the event is specifically to create an Innovation Accelerator focused on under-represented groups that will feed new entrepreneurial initiatives, break down barriers to entry and assist innovators along the path to success,” i-Village’s chief operating officer Mpho Tladi said in a statement. The organisers hope to provide a platform for startups to disrupt the local ICT sector by examining the readiness of townships entering the fourth industrial revolution. On the day various stakeholders in the ICT industry will be speaking. Speakers include Lorien Gamaroff (chief executive officer at Bankymoon), Cambridge Mokanyane (chief executive officer at VS Gaming) and Warren Hero (chief technology officer at Microsoft South Africa). With that list of speakers you would think that you’d need to pay top dollar to attend the e-Kasi Tech Festival and Gaming Expo but you’d be wrong. The event is free to attend but you will need to register to attend the event through Eventbrite. For more information about the event you can visit the official website which has a full agenda if you can’t afford to be there for the entire event.